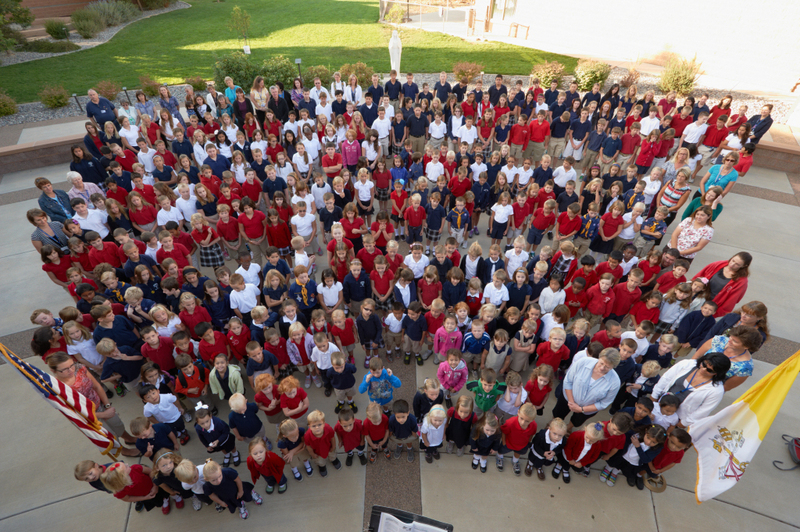 HFCS students begin each day with the Children’s Daily Prayer outside as a whole school during good weather. In the winter we pray in the gym. Prayers are also said before and after lunch, and at the end of each school day. Each week we celebrate Mass as a school (Kindergarten-8th grade). Masses are held across the street at Immaculate Heart of Mary (IHM). Twice a year we celebrate Mass in downtown Grand Junction at St. Joseph Catholic Church. We celebrate at St. Joseph's for Our Lady of Guadalupe and for the feast day of St. Joseph. Directly after Mass at St. Joseph's, students will be transported by bus to the school. It is always a treat when Bishop Stephen Berg visits Grand Junction, as he always makes time to celebrate Mass with us and visit our campus. 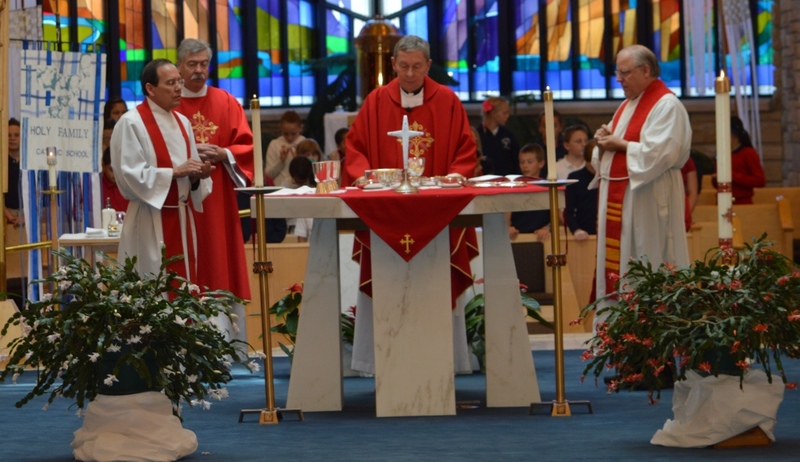 Throughout the year, the school participates as a whole in special events such as the Living Rosary, Blessing of the Animals, Advent and Lenten Penance services, Advent/Christmas Pageant, Living Stations of the Cross and May Crowning Masses. Catholic Schools Week is celebrated mid-winter and follows the NCEA theme. Events during this week focus on that theme and include spelling bees, a grandparents’ lunch and a talent show. Please refer to the school calendar for scheduling details.